The UK new car market declined in 2017, with annual registrations falling for the first time in six years. However, despite the 5.7 per cent fall in sales, the country still bought more than 2.5 million new cars. 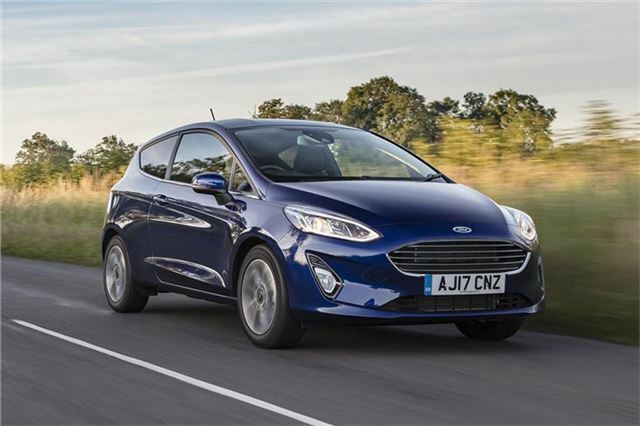 The new Ford Fiesta was, unsurprisingly, hugely popular with buyers in 2017 taking the number one slot. The UK's favourite car, it's well-equipped comfortable, cheap to run and - starting at just over £13,000 - very affordable. So it's little wonder that you see everyone from pensioners to teenagers in these little hatchbacks. No Hyundai cars in the top ten ? Everywhere I go I see the Hyundai i10 and would have thought it would be a big seller in terms of annual numbers. You don't live in Seoul do you? No real surprises. Our Fiesta is 'as common as muck', but 'as sweet as a nut'. Says it all really. Clearly a lot of monied people in the UK as two Mercs in the top ten. Good reason for Chancellor to raise taxes I reckon. This list tells me the country is full of m****s. It's a mystery how so many get through life yet know almost nothing. I'm particularly thinking of Vauxhall drivers. Some of the worst engineered cars and way overpriced and aweful to drive. Minis are overpriced and unreliable and don't hold their value as my daughter found out when trying to sell hers. Way overpriced Mercedes are a masterclass of image over quality. The recalls are frightening. And the Nissan. Look at the front. What a mess. I agree with the above comment about Hyundai. I've had four new ones over 22 years and 100% reliable. But the Brits are to dumb to notice these. Ands why do Yanks pay, relatively speaking, taking everything into account including wages, a half what we pay? Oh, and the dead boring VW, you know, those nice people who lie about their mpg figures and fiddle their pollution levels. Don't people read the press?